Reader Prashant Nagwani sent us this photograph from London. 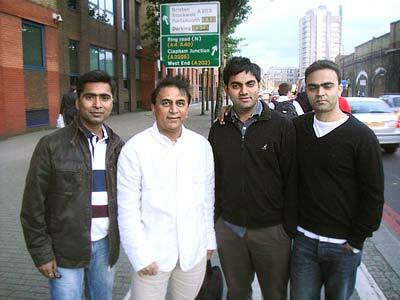 'Prashant, Abhijeet and Parvej met Sunil Gavaskar outside The Oval cricket club, London, after the T20 semi-final match between Sri Lanka and West Indies,' writes Prashant. Thank you, Prashantl, for sharing this picture!